A Page Is Turned: Scarf Swap! I'm linking up today with Meredith Tichenor for her annual scarf swap! Yea! 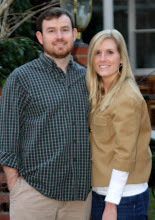 Meredith is a fellow boy mom and I have thoroughly enjoyed reading about her life among the men in her household for almost a year now. Her youngest, Miles, is exactly a week older than Will and I've so enjoyed that! This is my first time participating in Meredith's scarf swap. I was paired up with Darci, who happens to be another Texan and one of Meredith's real-life friends! Darci has the cutest blog and a precious little boy, Jackson. I'd never been to Darci's blog before but once I began reading I realized she loves PINK and ORANGE! :) We emailed each other as well to give a little background about ourselves. She is just the cutest thing! I sent Darci this pink and khaki scarf. I almost ordered myself one I liked it so much! James picked out a Halloween treat for Darci's son, Jackson. 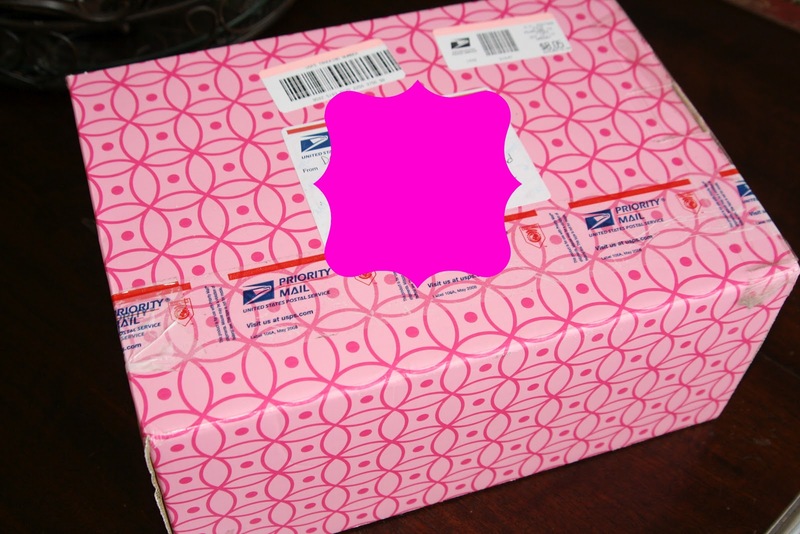 Then we got this cute pink box in the mail! She also sent a great fall candle and a notepad in pretty fall colors! With the cooler weather we're having today, I am set! Bring on the fall! You are so sweet!!! I'm glad we were paired up for the swap! I LOVE, love, love my scarf and the Halloween flip books have come in handy more than once this weekend (Jackson is teething and super needy / needs lots of distractions!). And, ummmmmm....I need to get to blogging about our scarf swap! Totally forgot today was the day! Oh my I love both of these scarves! I found your blog bc I swapped too. So fun!